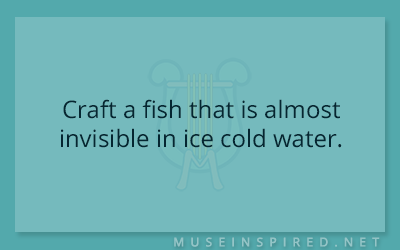 Crafting Creatures – Craft a fish that is almost invisible in ice cold water. Crafting Creatures - Create a type of insect that heralds in the spring. Crafting Creatures - Create a highly desired pet that is forbidden to own. Crafting Creatures - Craft a water adept mammal with an unusual tail.